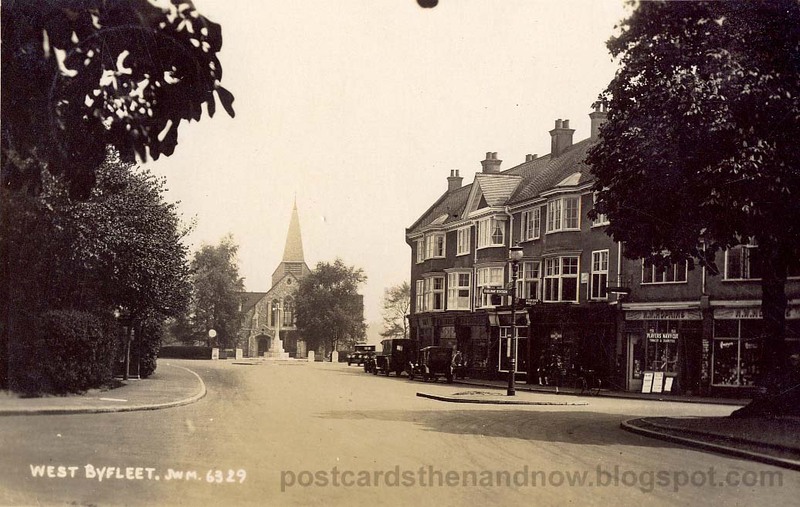 West Byfleet, Surrey, c1912 and c1930. The view hasn't changed much over the years, though the tree on the right has gone. The church is St. Johns, completed in 1912. The first postcard was published by W. H. Applebee in about 1912 and the second by Joseph Warren Mortimer in about 1930. Mortimer took over the WHA postcard business in about 1928, but only lasted a few years. Many of the later WHA postcards were photographed by him, but by about 1930 he changed the WHA prefix on the captions to his own initials, JWM. He lived in the same house in Ashford that Applebee's widow lived in when she was running the business. Mortimer was born in the same year as William Applebee, 1884. He died in 1955. 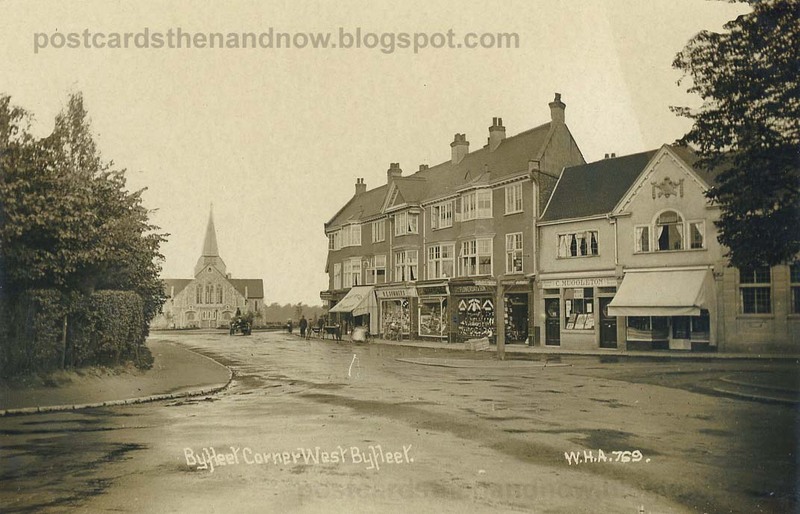 I used to work in West Byfleet for about a year in 1999. My office was very close, just past Barclays Bank. Your post brought back many memories.